It has been said that in order to live the “true Asian-American experience,” one must trek across the continent to California or voyage across the sea to Hawaii. Asian Pacific American (APA) students of the Greater Boston area, however, indisputably belong to one of the greatest concentrations of scholars, educators, and activists in the country. It is here that BAASIC seeks to ensure that visiting students and Boston locals get the most out of this dynamic environment. 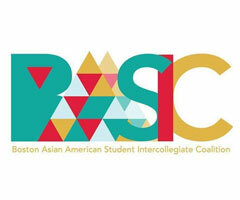 Founded in 2001, the Boston Asian Students Alliance (BASA) sought to offer an intercollegiate forum for activist inclined and civic minded Asian American students. The Boston Asian American Students Intercollegiate Coalition (a summer branch of BASA, launched in 2003 as BASIC) has become the hallmark project in BASA’s vision of student activism, bringing together idealists, skeptics, doers, communicators, and change-makers who want to make the world around them better. Every year, we bring together a new generation of Boston Asian college students: energetic, educated, socially conscious, and empowered with the knowledge of both a collective existence and an individual experience.